Get the best of photography experience with the Sony DSC-WX350 18.2MP Compact Cyber-Shot Digital camera built with unique features such as 20x optical zoom, Sony G Lens, 3” TFT LCD screen, BIONZ X engine, steady shot, beauty effect, intelligent active mode, intelligent sweep panorama mode, NFC One-touch functionality & Wi-Fi connectivity and lots more. This Sony DSC-WX350 18.2MP Compact Cyber-Shot Digital camera is well furnished to click the stills easily and it’s the perfect camera for people who are looking to capture images with every single detail. 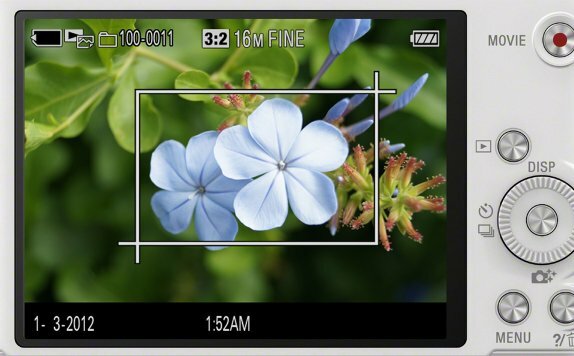 It gives you the advantage to view the photos captured instantly with perfect clarity and enhanced video recording experience with its bright 3” TFT LCD screen display. It has the compact design and light weight which perfectly fits into your pocket easily. 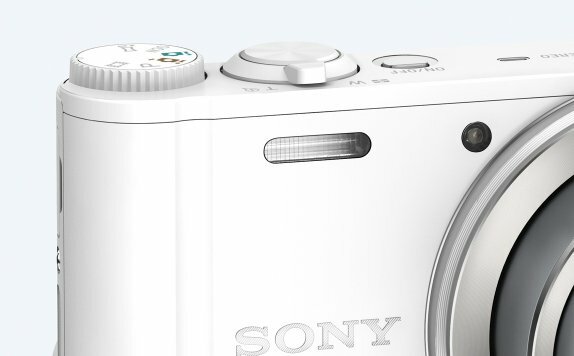 Its glossy finish makes this camera much attractive and delivers the perfect shot with effective details. Capture the still photos with finest details and shoot 1080 Full HD videos easily with Sony DSC-WX350 18.2MP Compact Cyber-shot Digital camera. This camera is equipped with Sony G Lens that focuses extremely fast and practically without any noise to achieve particularly uniform high image quality and produces superior in-focus image quality. The 18.2 MP Exmor R CMOS sensor delivers unbelievably high resolution in combination with high sensitivity and extremely low noise. With 20X optical zoom, it allows you to take clear picture without blur and vibration. The images that you click are vibrant and proper. The BIONZ X image processing engine faithfully reproduces textures and details in real time, as seen by the naked eye with its extra high speed processing capabilities. The optical steady shot compensates the camera shake during videography that involves frequent use of the zoom function. 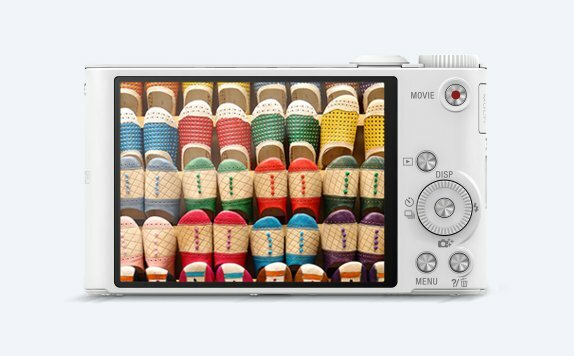 The 20x optical zoom allows you to zoom the image without any loss in total image quality. The beauty effect lets you make the person in the image look better by smoothening skin, enlarging eyes, whitening teeth etc. With new trends in photography and improved shooting experience, this digital camera support face detection for you to capture better images each time. It comes with advanced flash option to boost the image quality and deliver the brighter looking stills easily which add to its utility. It also includes the 360° sweep panorama to click and stich the high-speed burst of frames together to create the stunning panoramic images of people on the move. 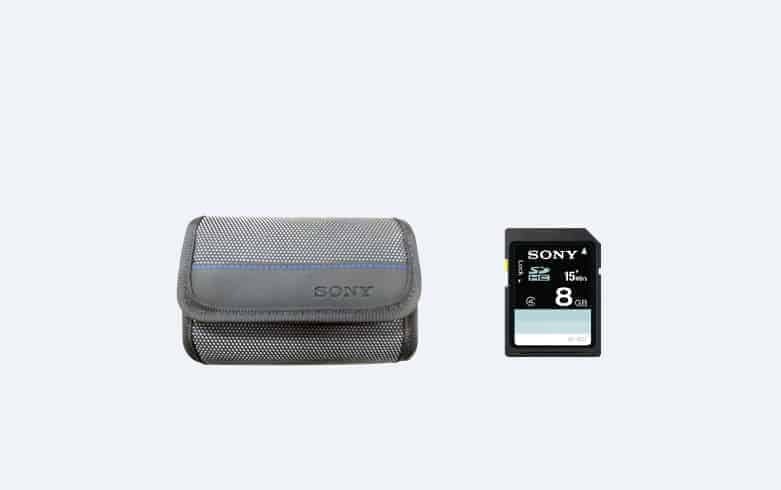 This Sony DSC-WX350 18.2MP Compact Cyber-shot Digital camera delivers the high performance in any situation with its wide ISO range of 80-12800 to deliver the minute sharp results even in low light. It comes with the editing effect which you can choose from like auto, daylight, cloudy, incandescent, fluor: cool white, fluor: day white, fluor: daylight, flash and custom which increases image quality. It includes the intelligent auto settings which lets you to adjust and suit your clicking options with much more comfort. The AVCHD formats supports for high quality footage and makes you get involved into complete photography sessions. Capture an image and quickly send it to your compatible iPhone, Android smartphone, iPad, Android tablet and other Wi-Fi or NFC enabled device, such as your iPod touch. The built-in Wi-Fi and NFC function can be used to transfer photos to a smart device over wireless connection through which photos can be easily shared with family and friends or you can also upload them to social networking sites. The internal memory supports almost all types of available memory extensions including the memory stick series and memory cards. The camera is supplied with NP-BN rechargeable battery pack and is compatible with iMovie and Final Cut Pro X. The Sony DSC-WX350 18.2MP Compact Cyber-shot Digital camera is perfect for shooting detailed snaps and recording full HD movies. It can also be connected to Wi-Fi or NFC for easy back-up and sharing photos and videos.